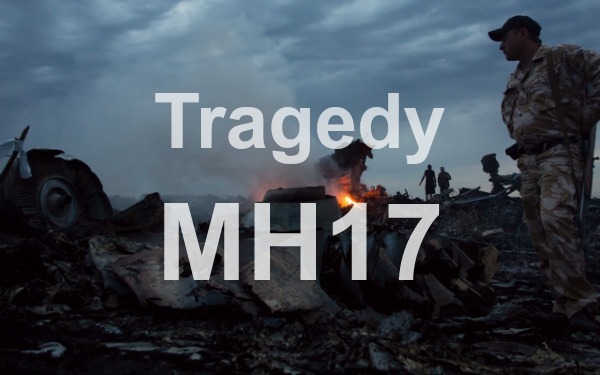 The stories we hear, the pictures we see, the testimonies we listen to are all so gut-wrenching: a civilian aircraft, traveling a recognized route, shot down with all aboard dead. It seems everybody knows a friend who had an acquaintance on board and so we are all touched. What are we to think of this event? Hideously Evil. This is a horrendous, inexcusable slaughter of innocent people. Folk for their own reasons travelling from Amsterdam to Kuala Lumpar had no part in the conflict in Ukraine. Equally, fighters in the Ukraine had nothing to do with the passengers on MH 17. But for reasons of their own they shot this civilian plane out of the sky as it flew 33,000 feet above them. Today’s technology being what it is, it’s simply beyond belief that the rebels did not know that their target was a foreign passenger plane totally disconnected to events on the ground. To shoot it down is hideously evil. This is a horrible and senseless “work of the flesh” (Galatians 5:19-21). It could have been me. I envision the passengers on that plane being comfortably settled into their flight – with nary a thought that their last breath was imminent. But it was. With no warning they were struck so that in brief moments they all appeared before God’s judgment seat – there to give account of everything they had done and said and thought in this life. Those who could appeal to Jesus’ blood to cover their transgressions were received into eternal life, and those who could not appeal to Jesus’ sacrifice were instantly transferred to the severe judgment every sinner inhabiting God’s earth rightly deserves. From outrage to love. The international community, especially in those countries from which a number of the passengers hailed, has responded to the shooting and the subsequent ill-mannered treatment of the deceased with outrage. I share the outrage. There’s even a little something in me that would love to walk into the Ukraine with guns blazing and teach those rebels a good lesson (and maybe the powerbrokers too). Before God, however, it will not do to let anger or desires for revenge take root in our hearts. The Lord has not responded to my transgressions with anger or bitterness, but has instead given up His only Son Jesus to atone for my evil. If the Lord showed His love while we were still enemies (Romans 5:6-10), it surely is for us to do the same. In fact, Jesus gave precisely that command: “Love your enemies…, pray for those who abuse you” (Luke 6:27,28). The root problem amongst the rebels in the Ukraine is that they do not know the love of God in Jesus Christ. They need the gospel as desperately as we need it ourselves– so the question becomes whether we are in any way in a position to help bring the gospel of redemption to these people. I have more neighbors. In my corner of the world I was far removed from the conflict that has of late embroiled the people of Eastern Ukraine. Other than following the news, I saw no reason to involve myself in that conflict simply because it’s geographically, culturally and historically so endlessly far removed from my life. However, suddenly that conflict touched me – for I knew people they murdered. This world is a global village and we were all touched by this. But that means in turn that my neighbors are at bottom not only those of my own town or province or country; if people in the Ukraine can touch me, I have to admit that somehow they’re my neighbors. I cannot continue to live in blissful isolation, minding my own business; if I’m to love my neighbor as myself (Matthew 22:39), I need to extend myself beyond my township, and province in order to express genuine care for the neighbors of my global village. An opportunity for testimony. In what ever way possible, to neighbors far and near, I have the opportunity to share my response to this tragic event. It begins with an attitude. I, my friends, my local community are not alone on this planet, but I share it with countless others – all of whom live under the same curse as I do (Genesis 3:16-19). I also know that the Lord God has given me life through Jesus Christ, so that I (with all I have) belong to my Lord and Savior. In fact, in His wisdom the Lord has blessed me materially far beyond what He’s given to countless other people in His world. My wealth and my education and my freedoms are not mine, but are opportunities the Lord has given to me for the benefit of others. Instead, then, of being selfish about my opportunities, I (and we collectively) need to consider how we can assist the neighbors the Lord has so dramatically thrust onto our path. If they can reach us, surely we can reach them! The Lord our God does nothing for nothing. How does He want us to respond to what He’s put on our path?